Dinah Shore was one class act. Dinah was one of mom’s favorites and her 1950’s variety show paved the way for Oprah (Sorry, O)! 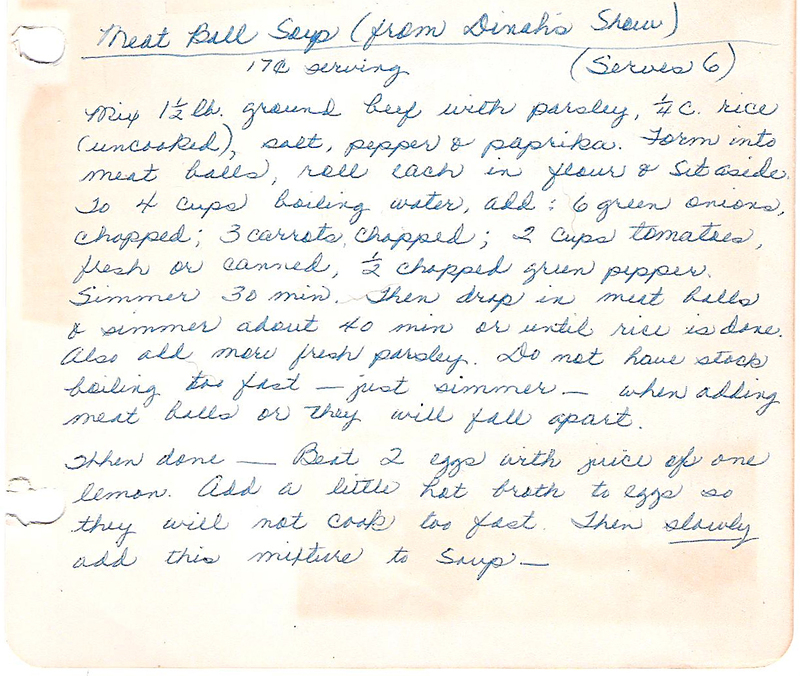 This soup recipe was hand-written in the black cookbook and I chuckled when I saw the note “17 cents/serving… serves 6.” “Nothing much” costs 17 cents these days ~ not even just the tax. But I’m willing to give this recipe a run for my money. It sounds great! Foodie Side Note ~ I calculated the cost of the soup based on today’s (2011) costs and arrived at a $1.64 per serving cost. While still affordable, that’s an increase of about 900% over the past 60 years! ♥ Based on my preparation, I’m not sure how 50 meatballs would fit into 4 cups of water. I believe this was supposed to be 4 quarts of water (not 4 cups). 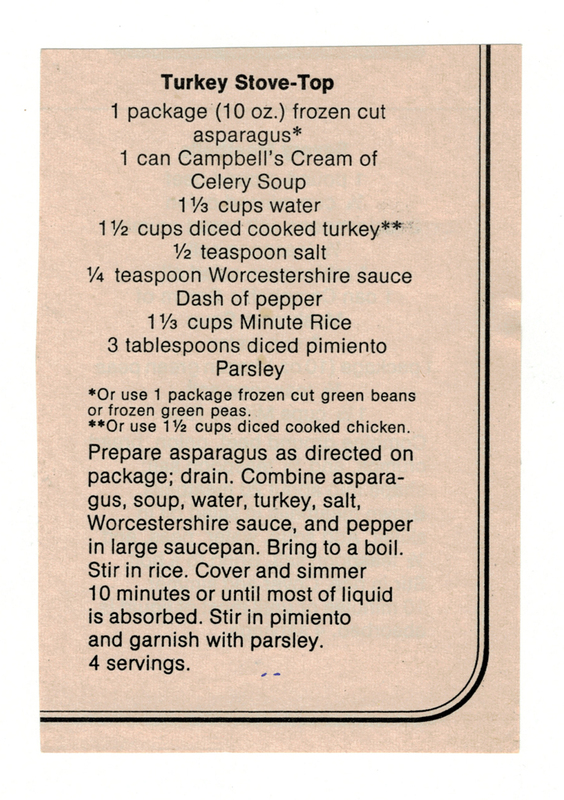 I even found validation of a derivative of this recipe at Vicki Lawrence’s website (she knew Dinah, too)! ♥ If you refrigerate any leftovers, you can discard any grease that rises to the top, which will be more heart healthy. 1. Mix the ground beef and some chopped parsley, the rice, salt, pepper and paprika. 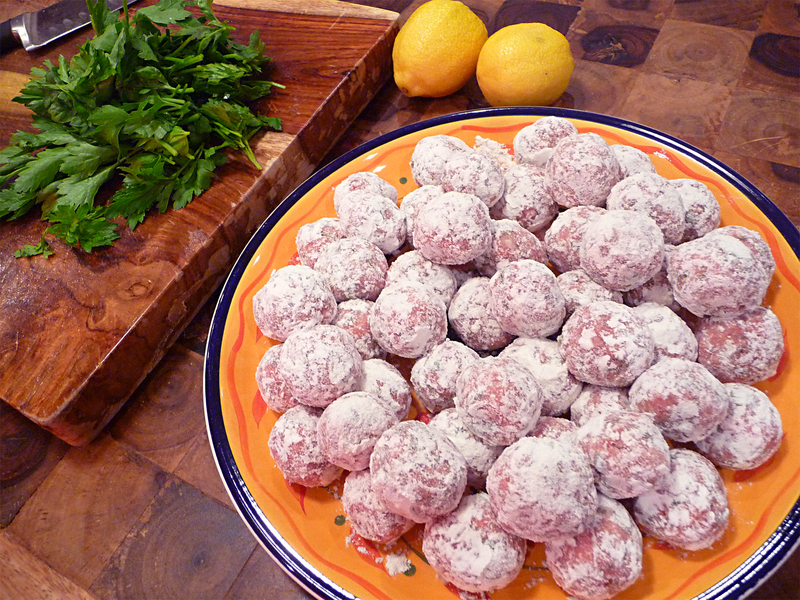 Form into meat balls about 1-to-1 and 1/2″ round, roll each in flour and set aside. 2. 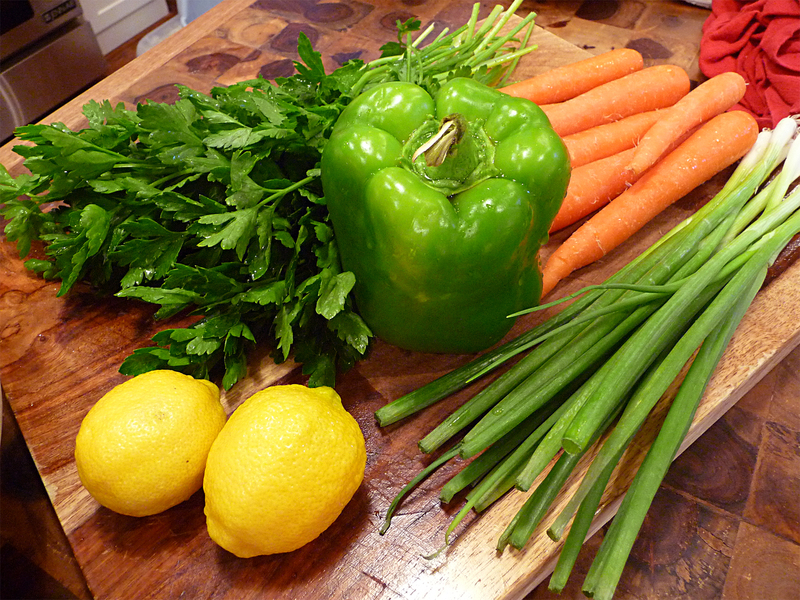 To 8 cups boiling water add the onions, carrots, tomatoes and green pepper. Simmer 30 minutes. 3. Gently drop the meat balls into the boiling stock and simmer about 40 minutes, or until rice is done. 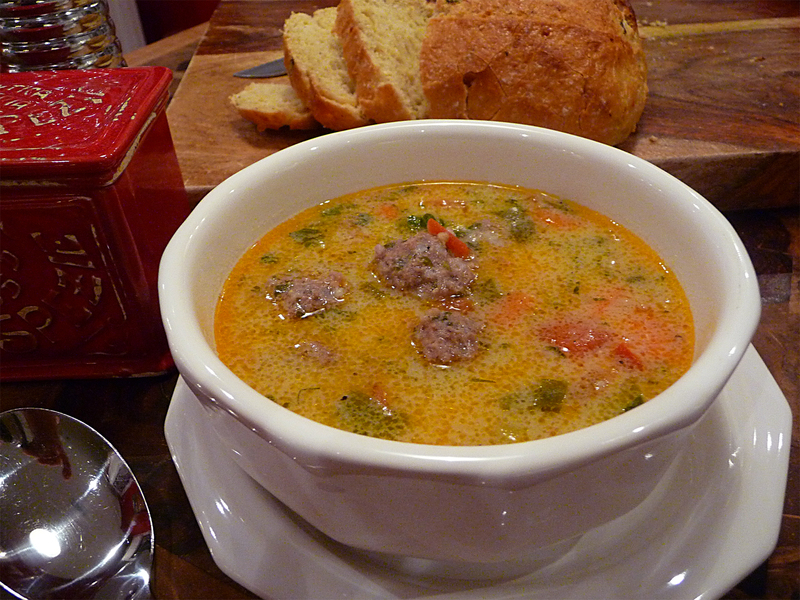 Don’t have the stock boiling too fast ~ just simmer ~ when adding the meat balls, or they will fall apart. And nobody likes mushy soup! 4. About 5 minutes before the stock is done, add more fresh parsley. 5. When done, beat the eggs with juice of one lemon. Add a little of the hot broth to the eggs so they will not cook too fast. Then slowly add this mixture to the soup. You’re ready for take-off. 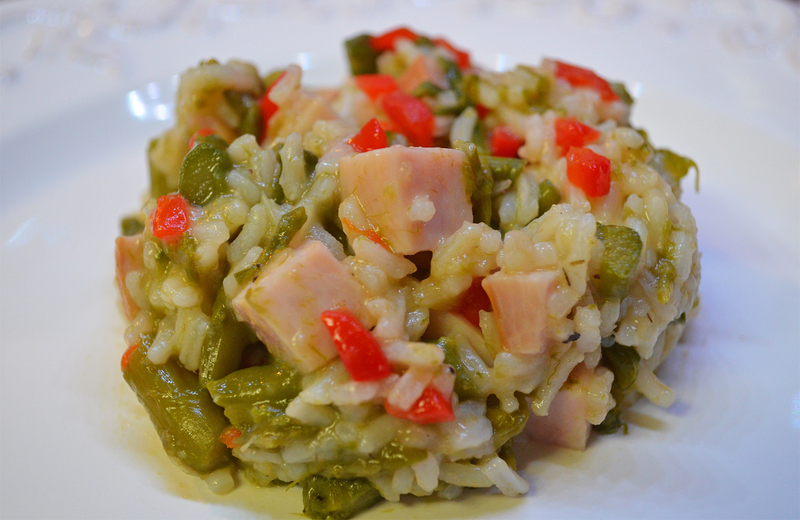 A photo of mom’s original recipe below!